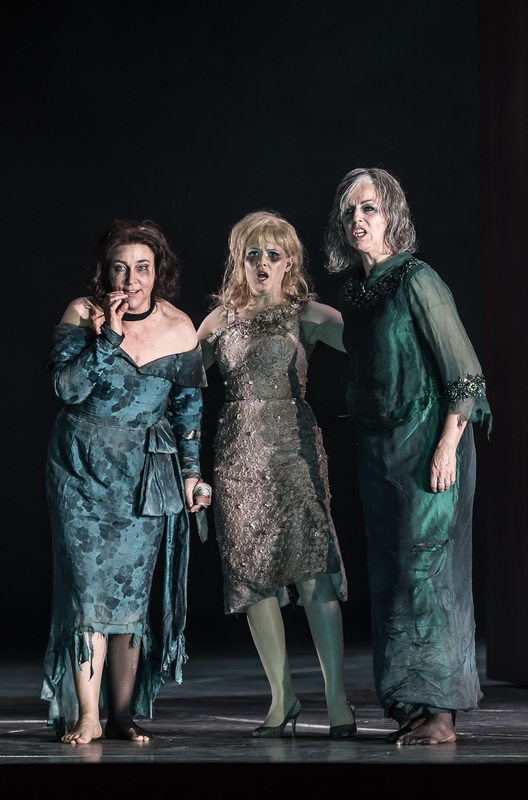 Thomas Adès' new opera The Exterminating Angel premiered at the Salzburg Festival last year, and the production has now come to the Royal Opera House (the opera is a co-commission and co-production between the Salzburg Festival, Covent Garden, the Metropolitan Opera New York, and the Royal Danish Opera), with substantially the same cast as in Salzburg. 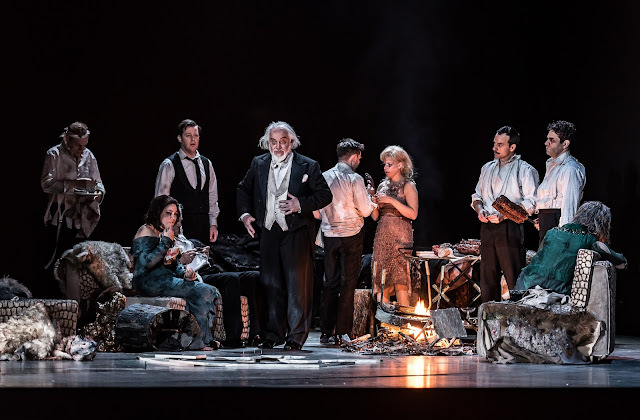 We caught the performance at Covent Garden on Wednesday 3 May 2017, when Thomas Adès conducted Tom Cairns production, with sets and costumes by Hildegard Bechtler, lighting by Jon Clark, video by Tal Yarden, choreography by Amir Hosseinpour. Though Buñuel was somewhat reticent about the meaning of the film, apart from its obvious satire of human behaviour as the elegant dinner party guests are reduced to more primitive behaviour (and there are of course intriguing links to William Golding's 1954 novel Lord of the Flies). But the film is widely regarded as a comment on Franco's Spain of the period (early 1960s). The production style kept the piece firmly in period, with a semi-abstract set which was clearly mid-century, and costumes and wigs perfectly in period too. At first sight, the piece seemed to be some distance from Adès' previous opera, The Tempest, but on further consideration there were some tantalising parallels. Both operas deal with people under some sort of enchantment (though in The Exterminating Angel the source of the enchantment is less clear), and in both pieces there is an element of people being reduced to their baser instincts. Also, in both operas there was a feeling of having slightly too many characters, clearly Adès' enjoys the feeling the characters rather jostling together. 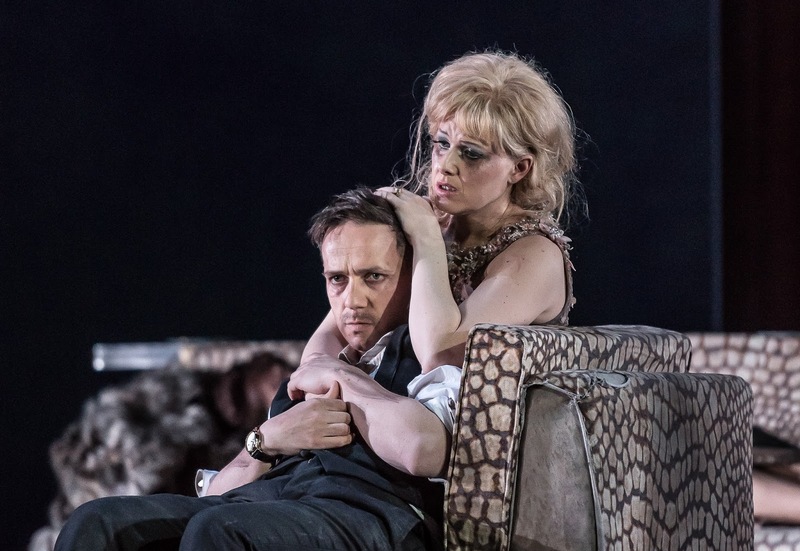 The writing for voices links the two as well, as in The Exterminating Angel there is a stratospheric soprano part, like Ariel in The Tempest. In the new opera, it is the singer Leticia (Audrey Luna) whose role is stratospheric, and whose singing leads the characters out of their confinement at the end, much as Ariel leads the characters on in The Tempest. One can read too much in these parallels but they are fascinating. The story telling, in terms of the combination of opera and dramaturgy, was excellent so that after the first scene it quickly became clear who was whom. Adès and Cairns successfully led us through the complexities of the plot without ever seeming to. 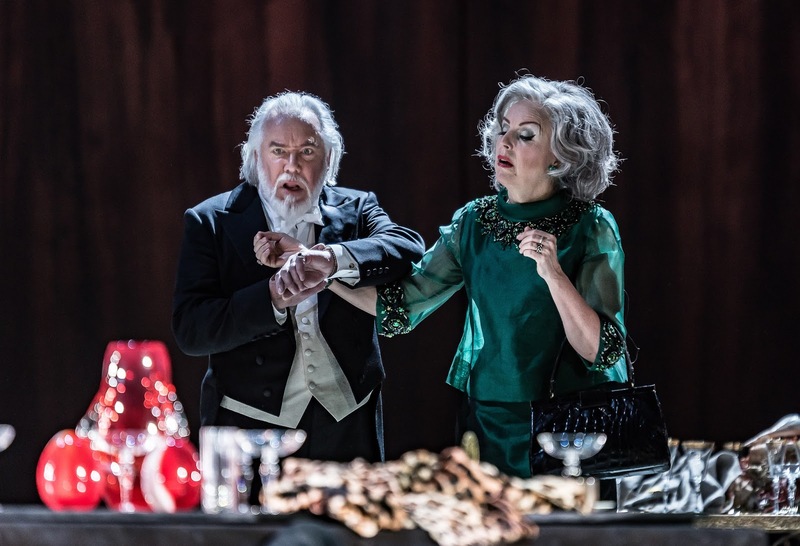 The long first half, 75 minutes (Acts One and Two) intrigued, but it was in Act Three that the drama really gripped as people started to fall apart at the seams. There is a death (through illness), a mutual suicide pact from the young lovers, various species of madness, some failed witch-craft, a woman cradling a dead sheep's head singing to her (absent) young son, the killing and consuming of sheep, and even a rogue bear. 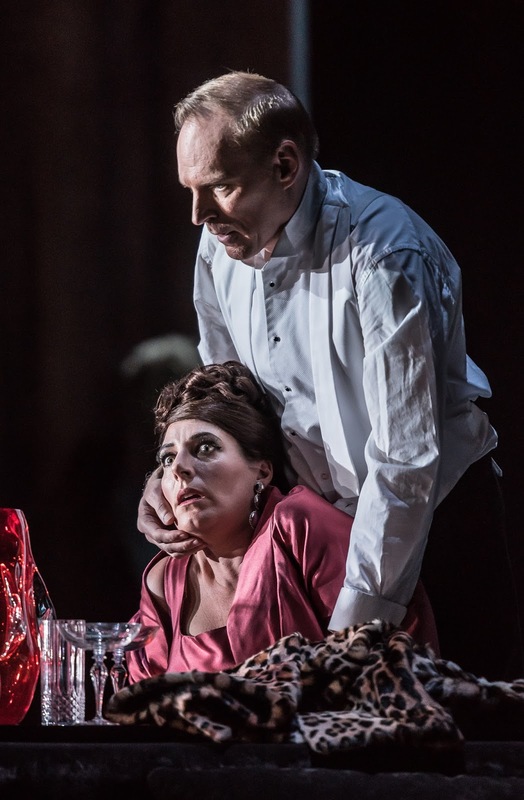 But though there is a great deal of dialogue, by giving each character a mini solo moment you start to understand the different people (I was particularly taken with Iestyn Davies' prissy queen Francisco, obsessed with the fact that the coffee had been served with tea spoons!). But it is the orchestra as well which takes you on an emotional journey. It is a big orchestra, with a notable part for Ondes Martenot (Cynthia Miller), which added an element of otherworldliness without descending into the corny. In fact it was the total sum of the orchestra plus voices which really stood out, you felt it almost as an orchestral work, though there were more lyrical vocal moments too. One particular feature of the vocal writing was the way Adès took the high voices to the limit and above. Not only did Audrey Luna sing in the stratosphere, but Amanda Echalaz's Lucia spent a great deal of time very high in her range, as did the tenors. The result could not have been anything but Adès, and I have to confess that I found it tiring at times. The sheer insistency of the sound of high voices pushed high, detracted from the striking textures elsewhere in the orchestration and the high notes drew unwarranted attention to themselves. It was somewhat of a relief to get to the more beaten down characters in the final act, when stratospheric notes reduced accordingly. It was in his writing for the other voices, such a lovely solo for Christine Rice's Blanca, that the real beauty of Adès vocal writing came out, and it was Rice who managed to tug the heart strings most. The dinner party guests start out very entitled, and their behaviour degenerates under pressure yet even then little sparks continue to fly (a discussion over crudely roast lamb as to the best way to cook it). In a sense there is an element of Opera Seria here, with noble characters being put under stress in unrealistic situations so that we can see how they behave, except in Opera Seria the good show their morality and inner nobility whereas here all degenerate. Perhaps Bunuel and Adès' point is that we are all savages at heart. There are plenty of self-referential jokes woven into the piece, at one point someone asks for Blanca to play some Adès, the fire on which the lamb is roasted comes from burning the wood from a cello which is broken up, and Adès includes a number of wry quotations into the orchestra. Thomas Adès drew superb performances from the large cast and the orchestra, and the whole had a wonderful complexity texture which certainly seduced as much as the drama intrigued. Each of the soloists contributed strongly, but the overall effect was of a remarkable ensemble with none of the artists seeming to stand out against the others. On heretical thought did occur to me, if it was performed without the contribution of distinctive stars such as John Tomlinson, Anne Sofie von Otter, Christine Rice, Iestyn Davies, Thomas Allen etc., would it be so easy to determine who is whom in this complex piece. Perhaps the operas life after these first performances will demonstrate its real role in the operatic pantheon. This is the sort of piece that I feel I need to return to, such is the complexity both of Adès music and of the drama itself. Adès and Cairns make no obvious point about what is happening, but you feel that Adès music is leading us through a very distinct emotional counterpoint to the mysterious drama. And it was this that I would like to return to and explore further.